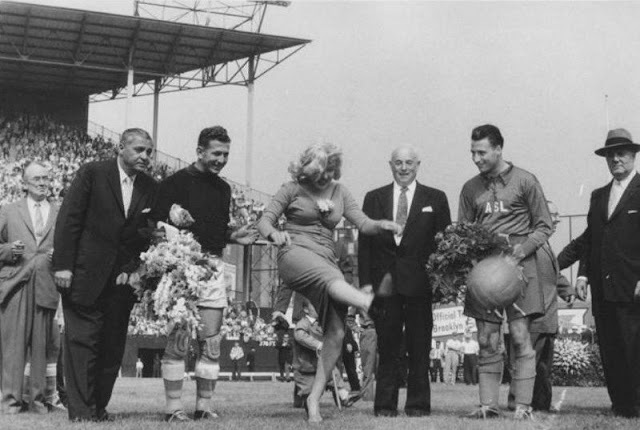 The tight blue dress and the spiked-heeled shoes were not the regulation uniform. 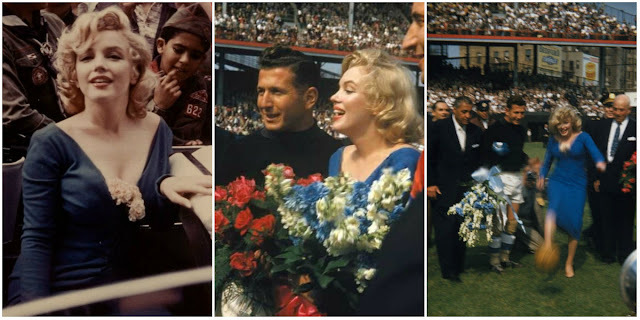 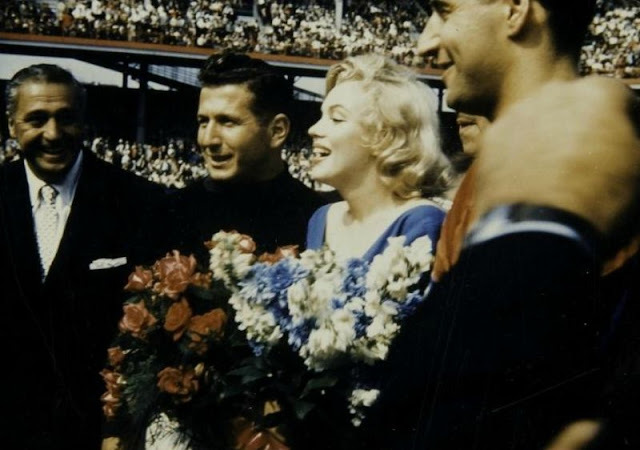 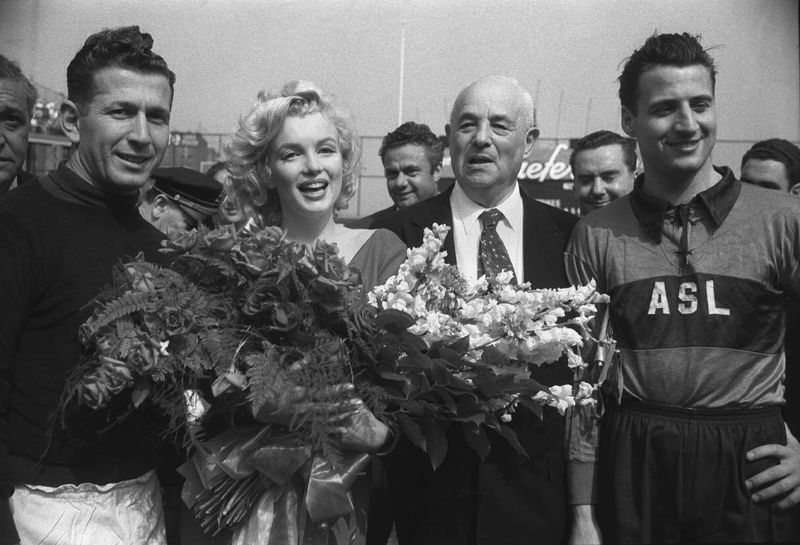 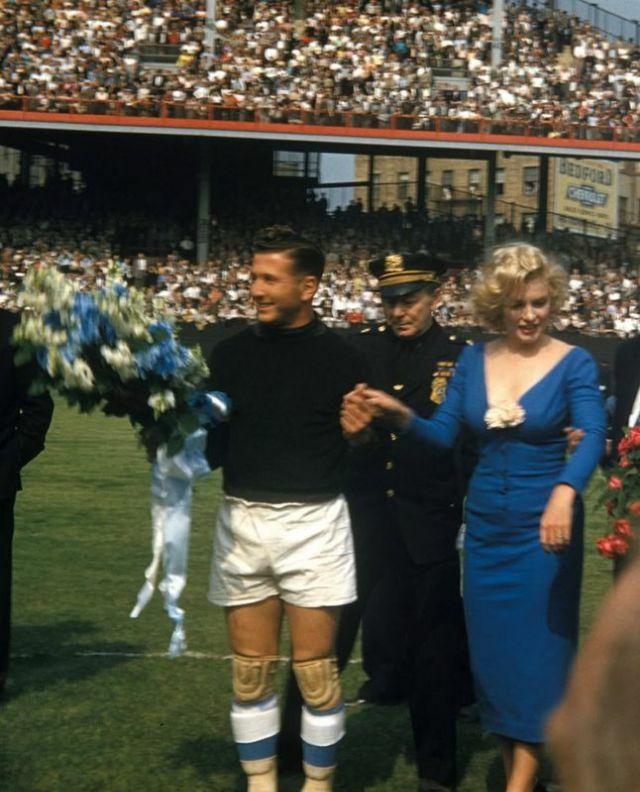 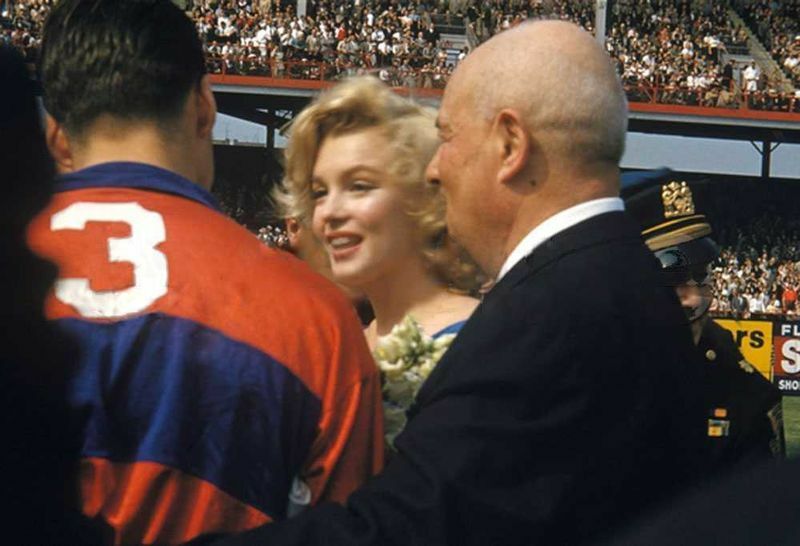 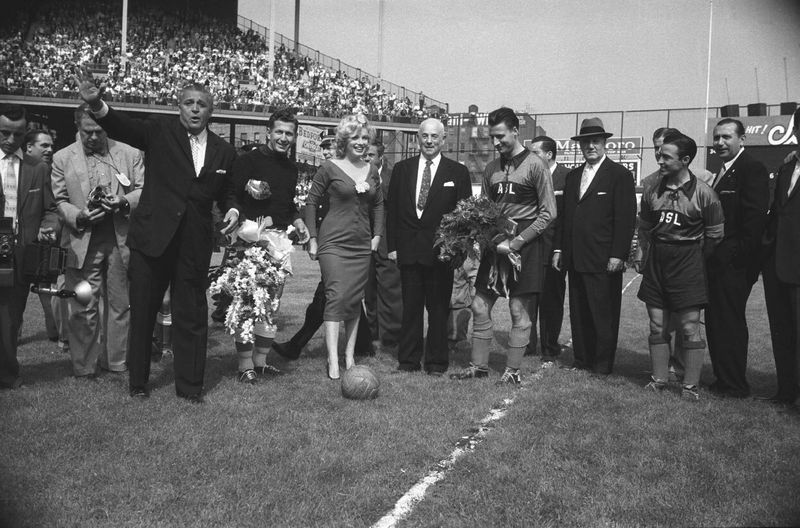 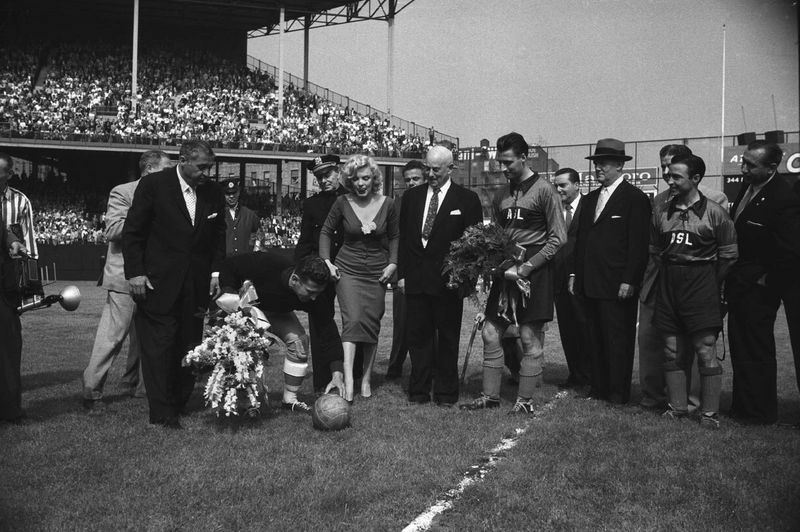 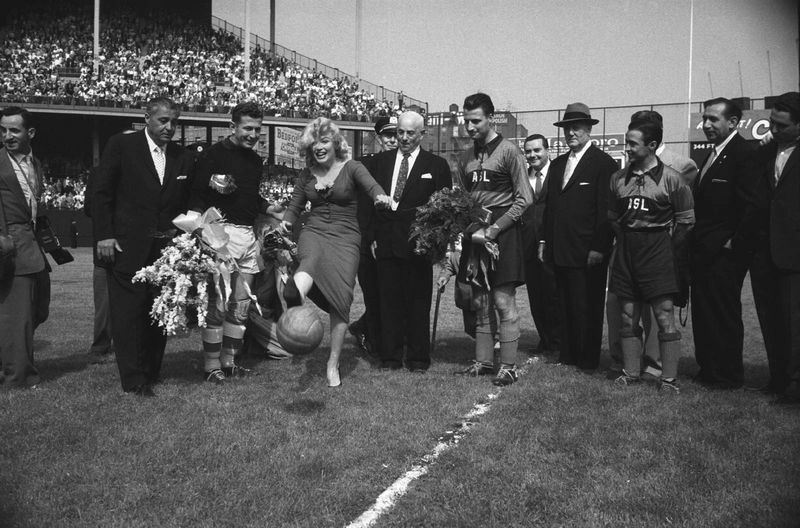 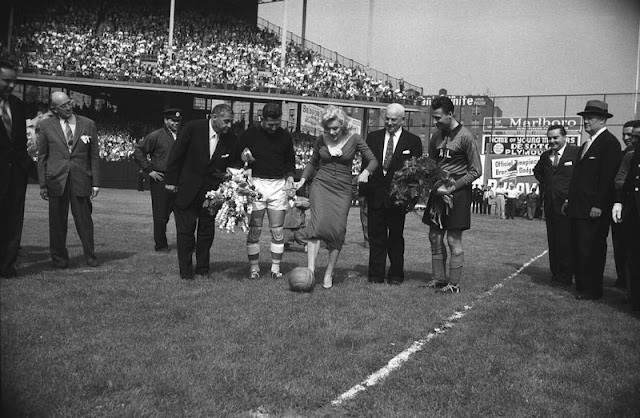 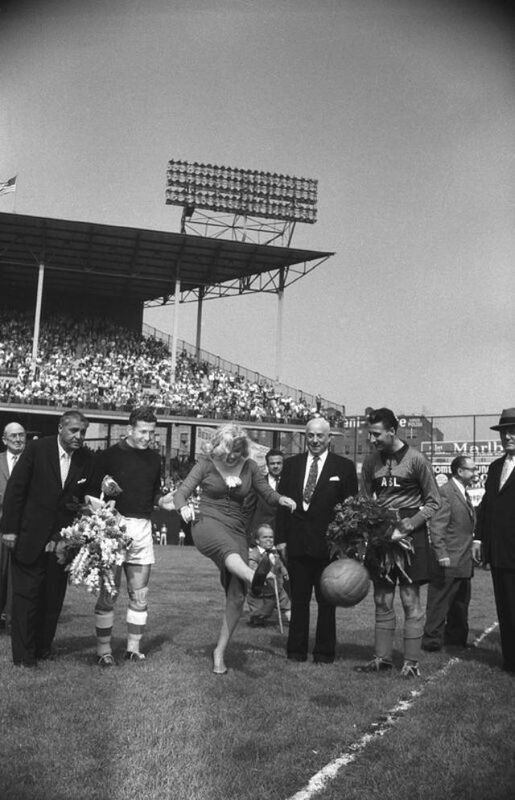 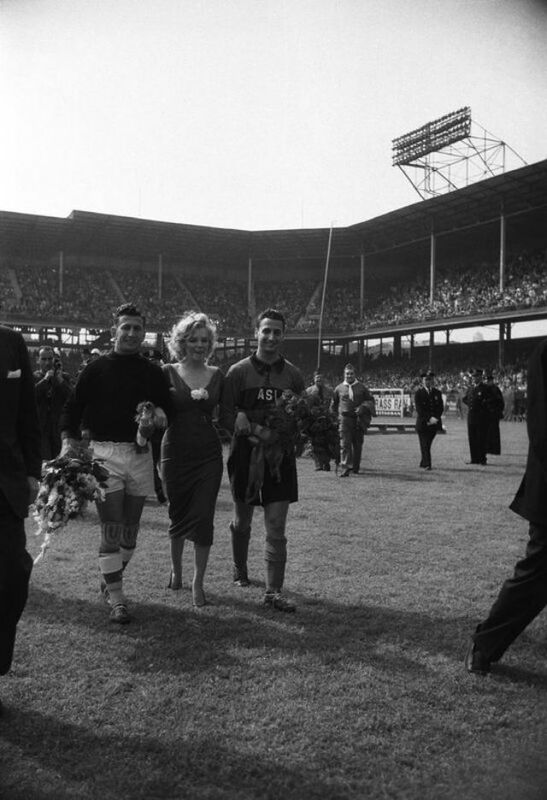 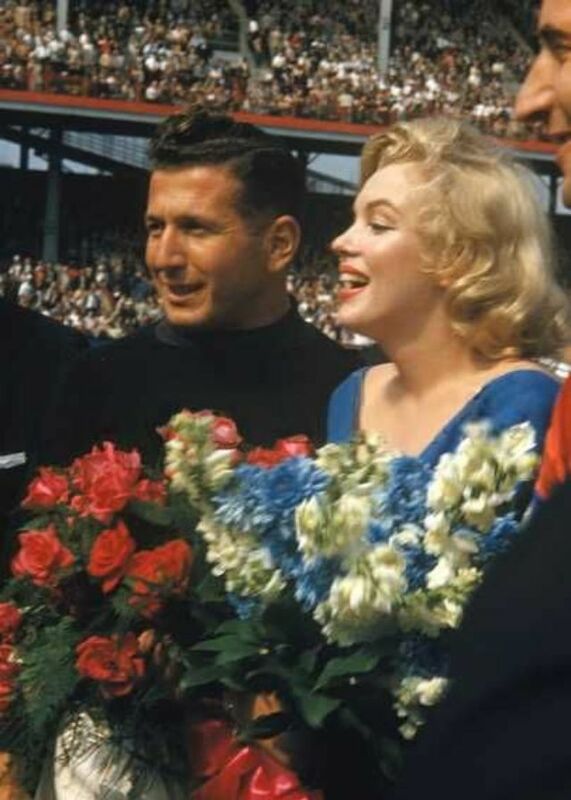 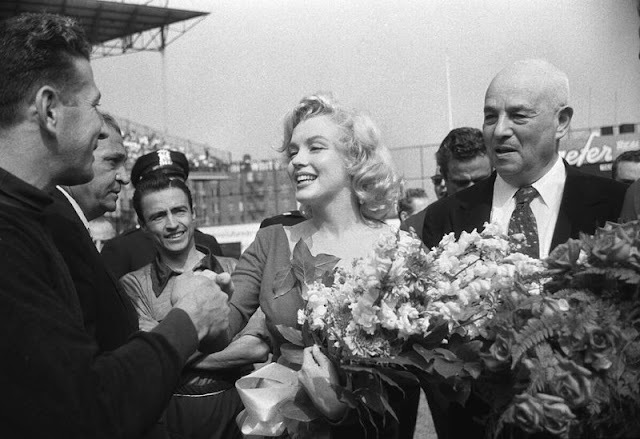 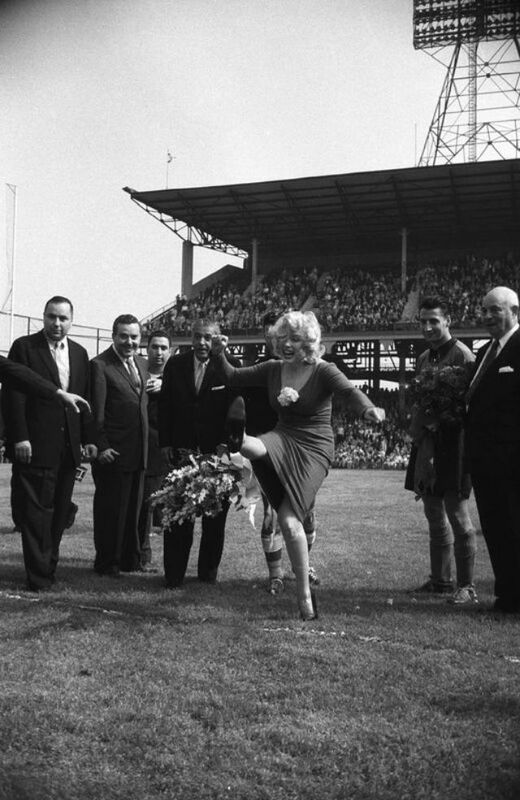 But Marilyn Monroe managed to make the first kick at this all-star soccer game between Israel Hapoel and the American Soccer League All-Stars at Ebbets Field on May 12, 1957. The game was part of a Salute to Israel program. 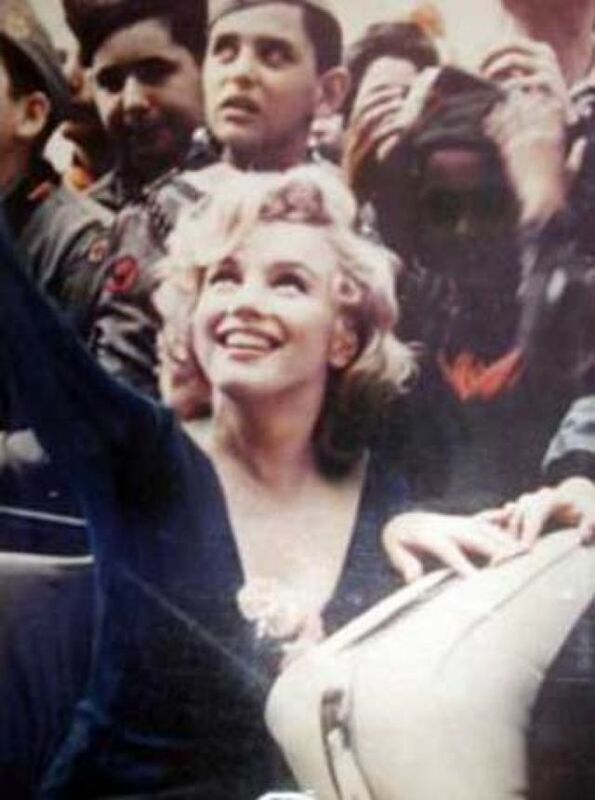 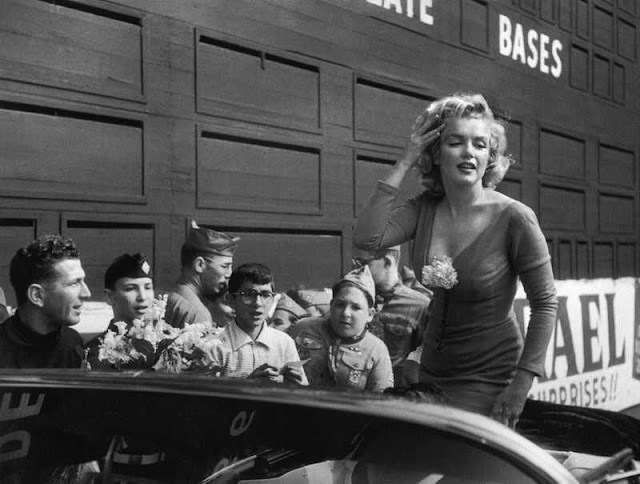 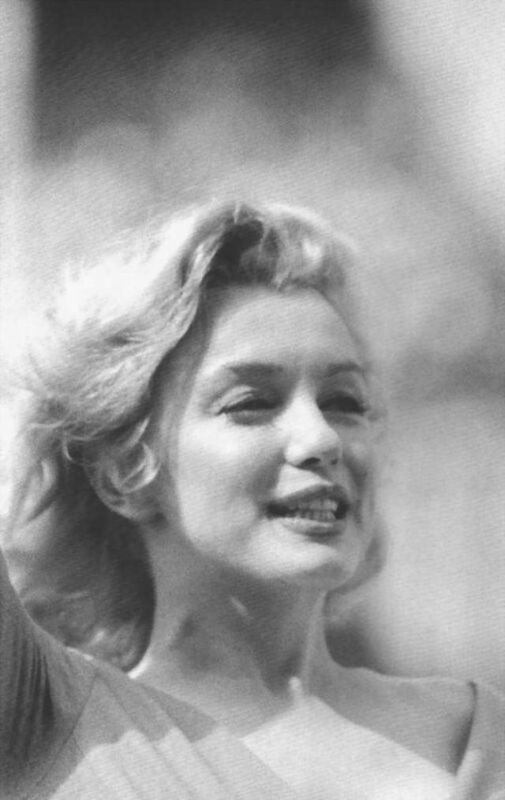 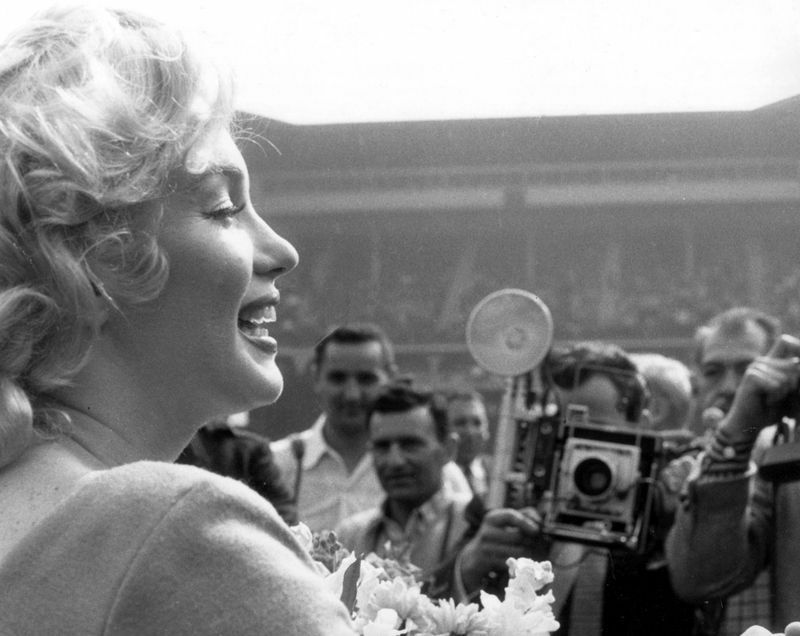 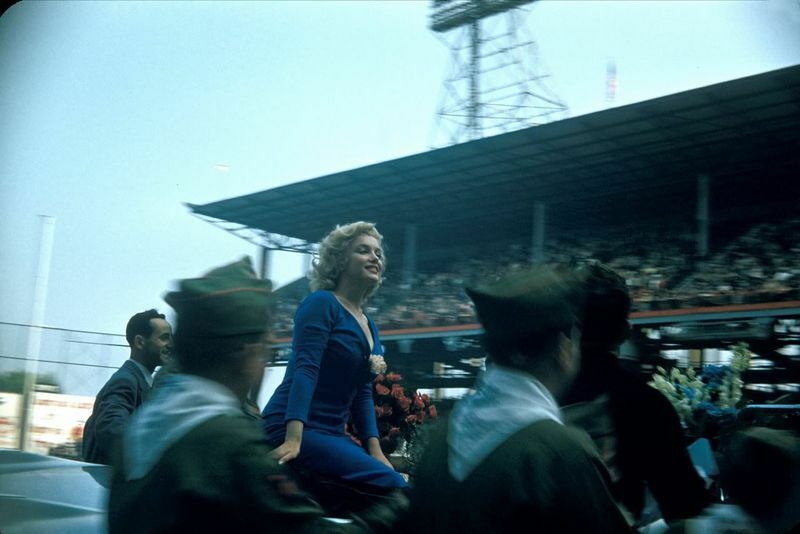 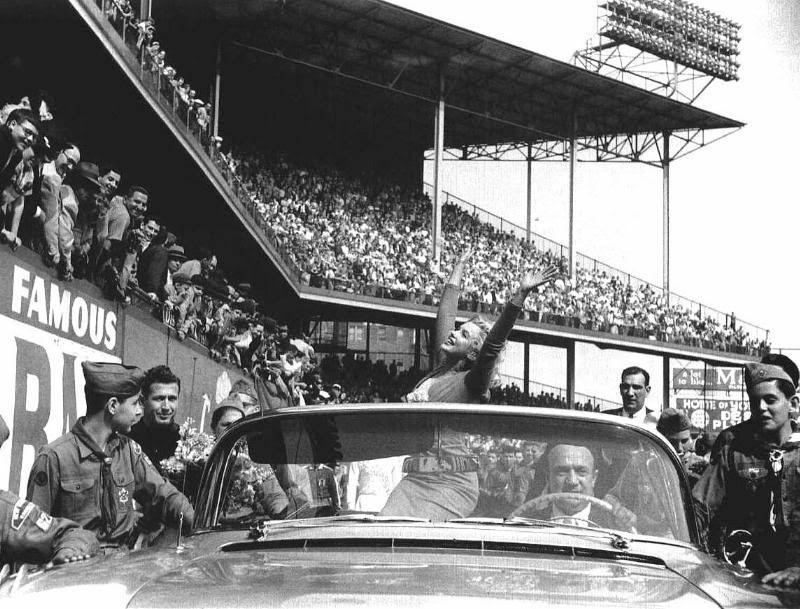 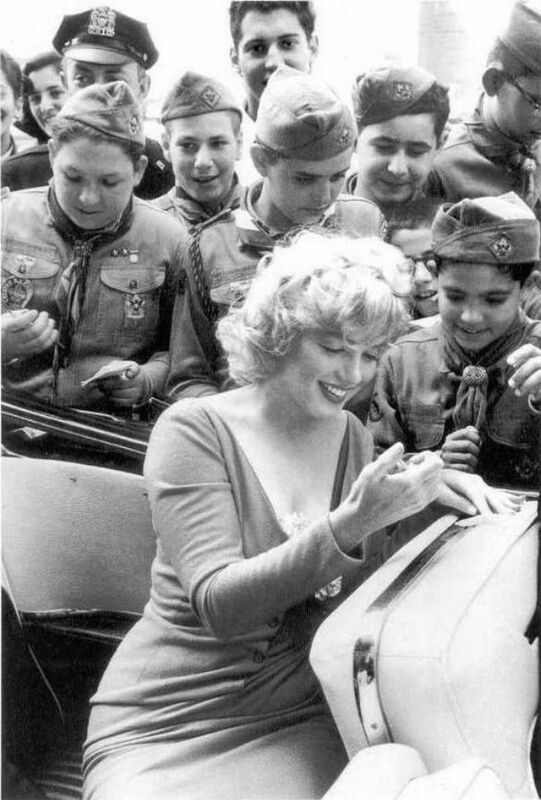 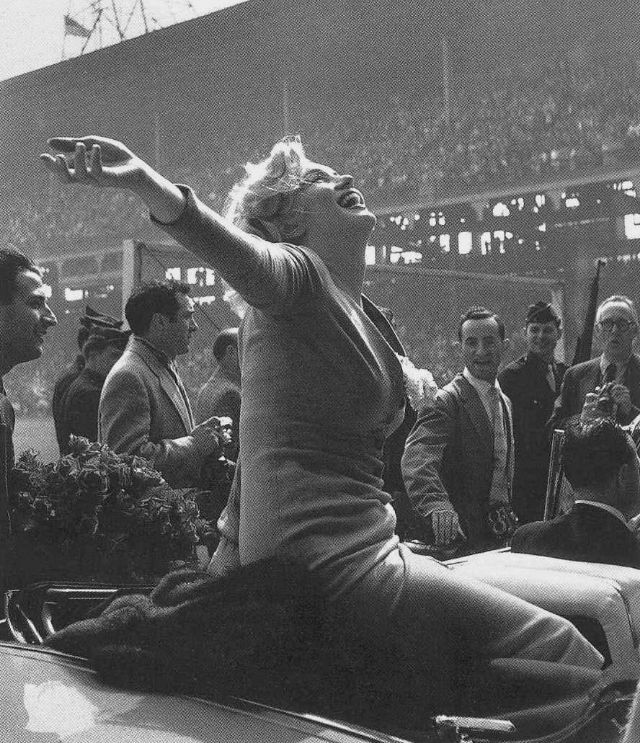 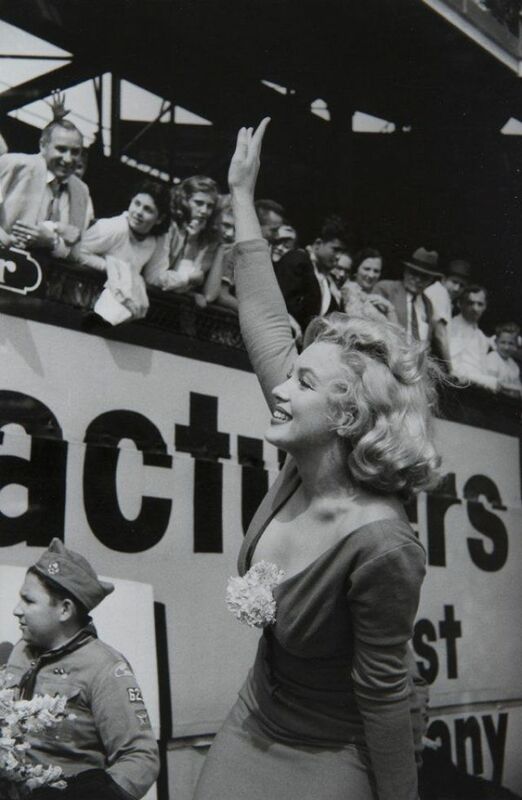 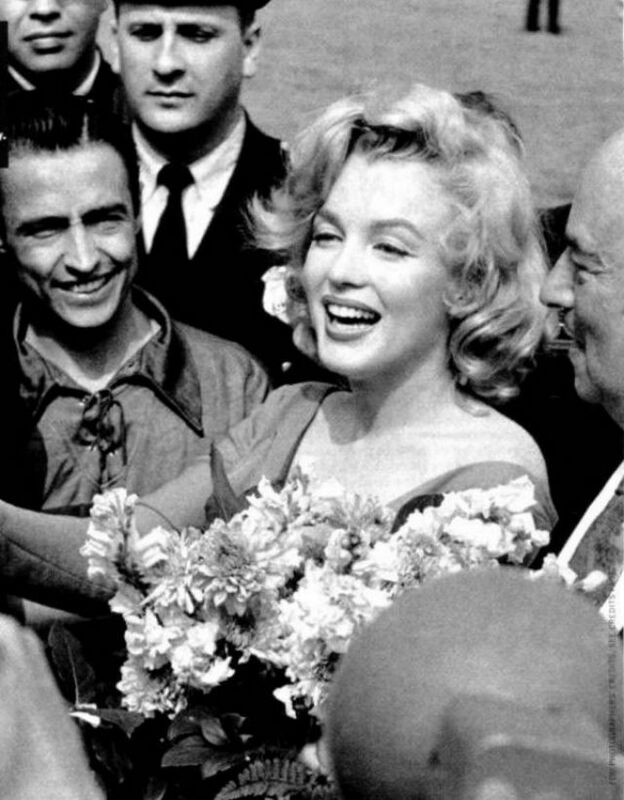 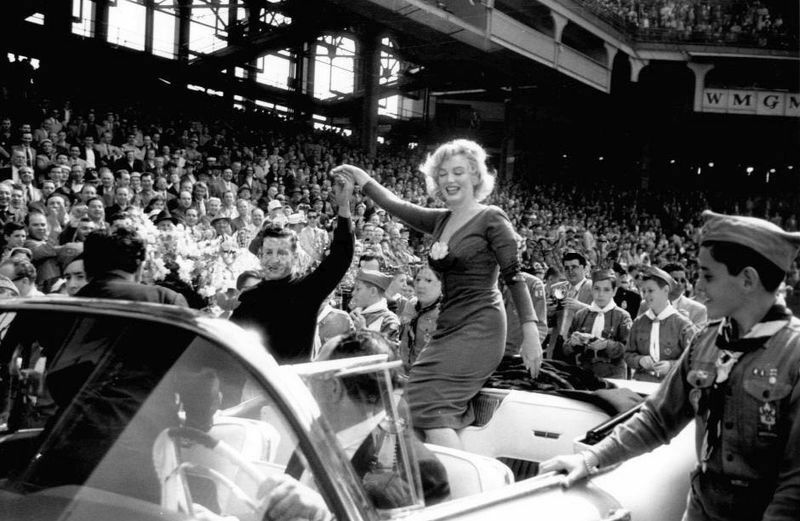 The Hollywood goddess arrived at the stadium, home of the Brooklyn Dodgers, riding on the back seat of a convertible and waving as fans cheered. 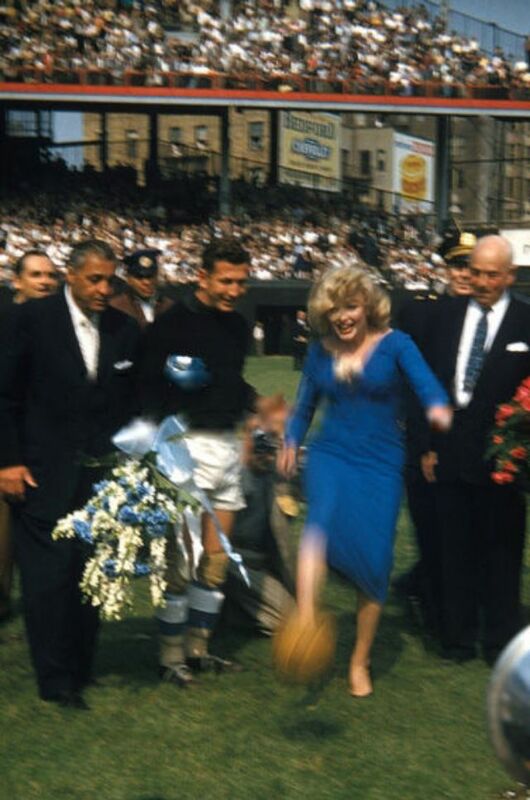 Despite her skimpy blue dress, whose shoulder straps slipped dangerously low at times, Marilyn made three ceremonial kicks - two for photographers and one for the soccer players. 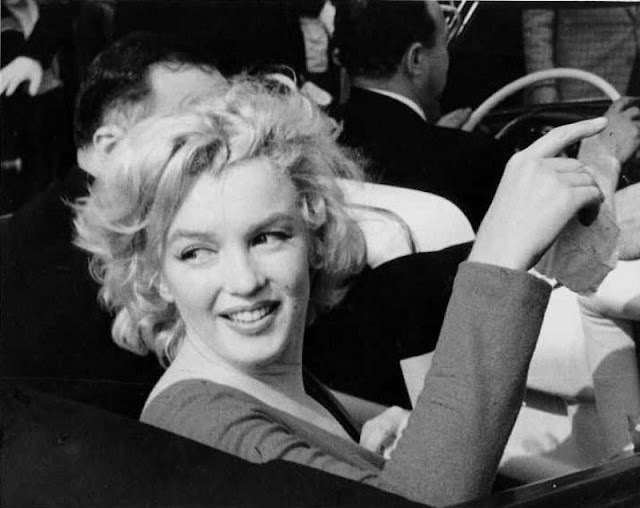 There were two minor casualties. 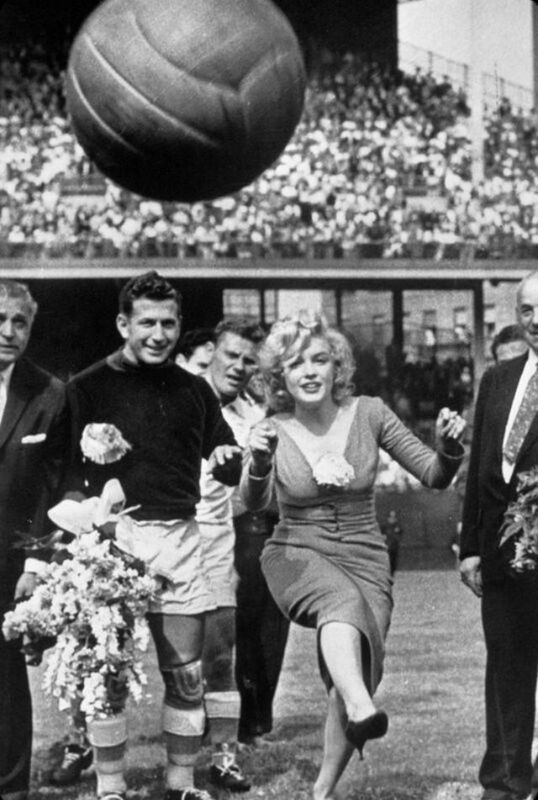 One of her kicks sailed off course and smacked a United Press photographer square in the head. 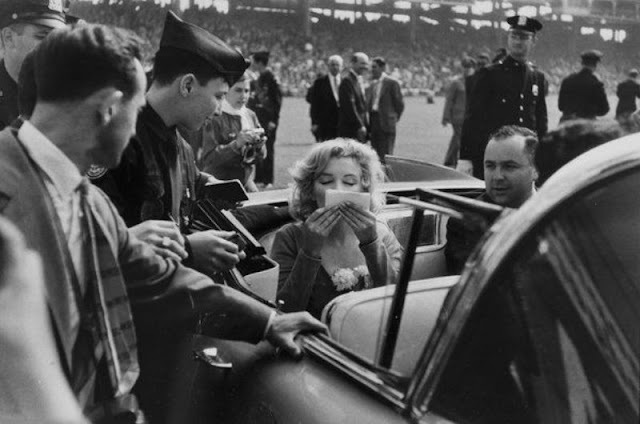 And the actress had a slight limp as he was escorted off the field.